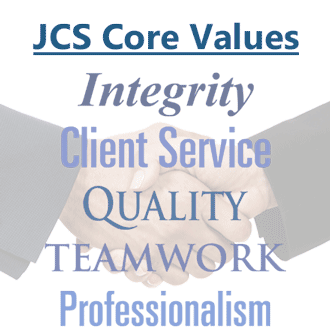 Jimenez Consulting Solutions, LLC (JCS) is a Scottsdale, Arizona-based professional services firm which provides a broad range of management consulting services. Our founding principals average more than 25 years of consulting experience working with large, middle-market and small companies to help them achieve their business objectives. We help clients develop and refine corporate and IT strategic plans, develop business cases, track and analyze IT budgets and expenditures, manage programs and projects, develop and lead Program Management Offices (PMOs), develop and negotiate IT vendor contracts, select (or develop) and integrate software solutions, and perform IT business analysis, system testing, and training. We serve clients across a broad range of industries, including healthcare, public sector, manufacturing, financial services, education, and telecommunications. Our professionals have many years of industry and consulting experience and possess a solid reputation of integrity, quality, on-time delivery, and outstanding client service.